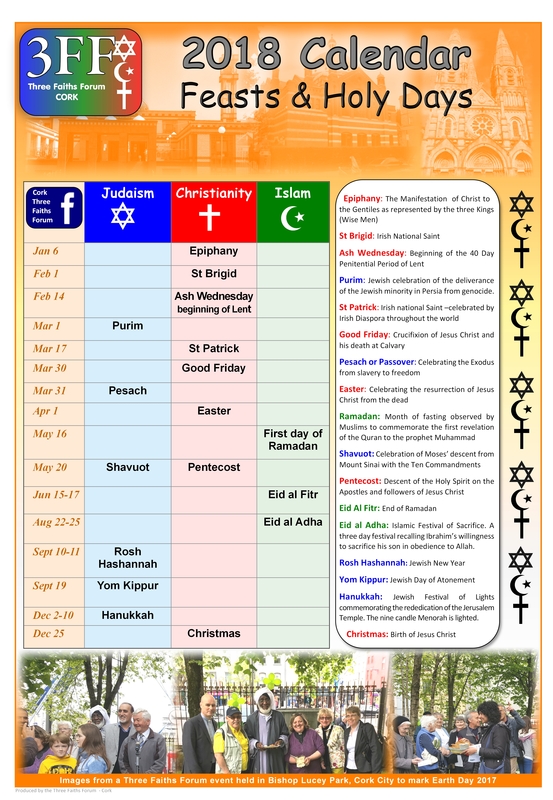 The Three Faiths Forum, Cork, issued a beautiful Calendar in early December, highlighting the major religious festivals in the Jewish, Christian and Islamic Faiths. 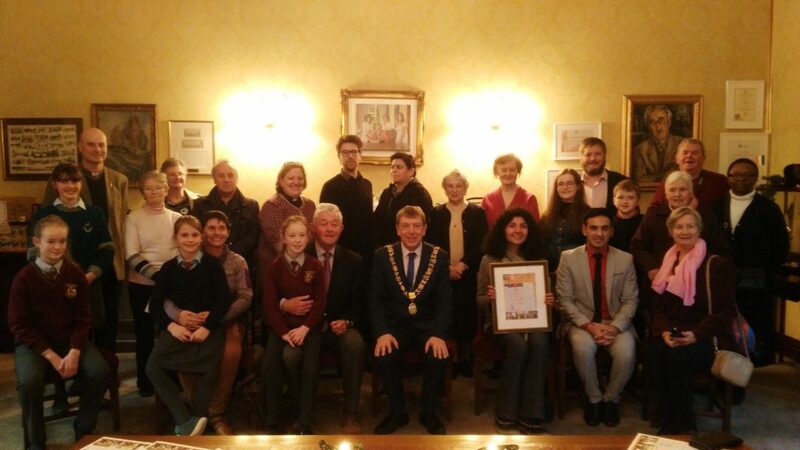 The event was launched by the Lord Mayor of Cork and attended by representatives of all faiths, including members of the Society of African Missions and the OLA Sisters. 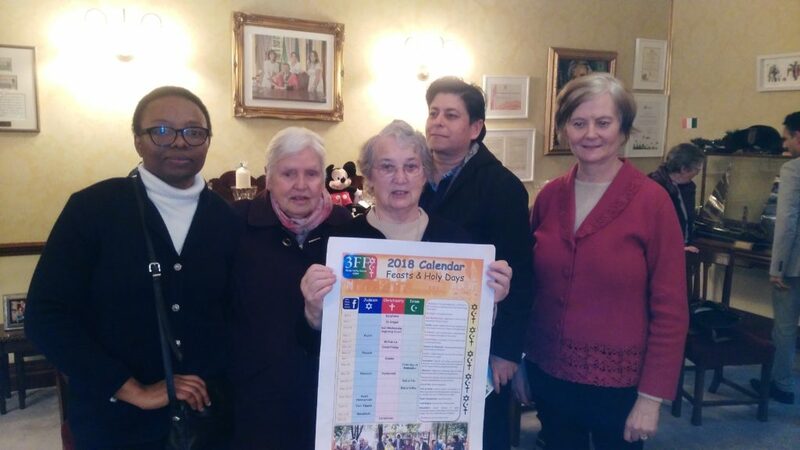 We are delighted to make the calendar available to our readers for the New Year and very proud of the fact that the calendar was designed by the SMA Justice and Development Officer, Mr. Gerry Forde. May 2018 be a year when the three faiths represented in this initiative, and all faiths throughout the world, work towards the common good of all humankind and the wellbeing of our fragile and miraculous planet. The 3 Faiths Forum issued the following press statement in July 2017, outlining their work and commitment to reducing isolation, fear, racism and tensions in Ireland.